Get ready for the ultimate sales reporting experience. The Business Sales Report is your chance to finally shine this year financially. The Sales Reports allows you to quickly and effortlessly enter information after your initial setup and keep those important sales details year after year. You can use this information to make informed business decisions that will improve overall sales output and help your business in the long-run. You can even change the template so it fits the style and structure of your company overall. Now you can have a free and effective tool for measuring and tracking the success of your sales figures without spending thousands each month on expensive software. Learn more details about the Sales Report template by reading the information below. Just click the link at the bottom of this page to download the free template directly to your computer. 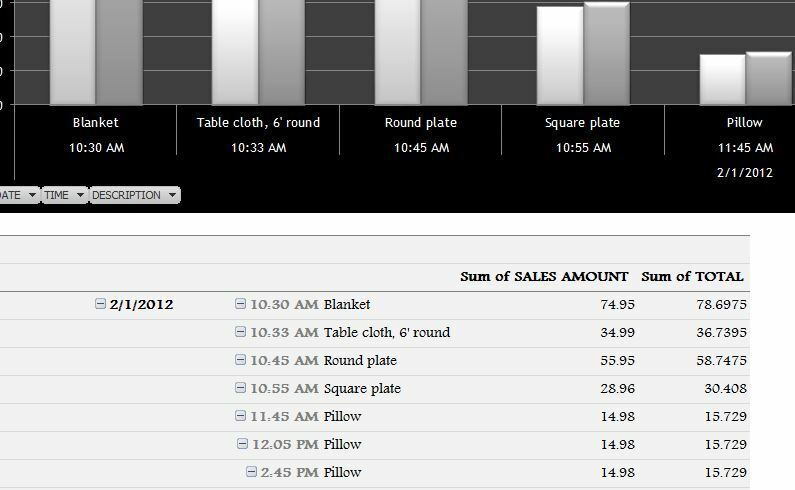 The “Inventory” tab is a small table where you will enter the individual items you want to include in your sales report. You can use a SKU or product number system or create your own by clicking the cell you want to change and writing something new. All that’s left to do is simply write the name of the product in the other column. Next, move on to the “Sales Data” tab to enter, you guessed it, your sales date for each of the items you entered into the first tab. You will enter the date of your sales tracking, the time, transactions, product number, sales amount, tax information, and the template will give you the final total. Over time, the template will gradually work up enough data to use in a positive way. You can see a more comprehensive view of this information by going to the “Sales Report” page and seeing all this information listed in a graph to get a better idea of your sales projections for next year. You have all the tools you need to improve sales year after year, now use them!